Quick Tip- for fastest rate on life insurance for race car drivers call 1-888-393-9003 or run instant quote. Use regular risk quote to start your search. Is life insurance for race car drivers obtainable? Yes, life insurance for race car drivers can be obtainable. One of the most important keys in finding life insurance for race car drivers is to use an independent life agent who handles special risk life insurance. Fortunately, you have come to the right spot. Finding affordable life insurance for race car drivers may seem impossible. But, if you have an experienced broker that knows the right questions to ask, life insurance for race car drivers can be secured. 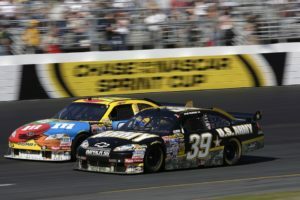 What information is needed when looking for life insurance for race car drivers? Life insurance underwriters will want to know the type of car, speeds and how long you have been racing among other factors. Do you hold a competition driver’s license from any organization? If so, need list of organizations. Have you ever attended any type of driver’s school? If yes, name of school. How long have you participated in racing? Date of last race? Where? Have you ever competed, or do you intend to compete outside the United States? If yes, where? Do you intend to enter a new class of competition? If yes, need details. Have you ever done, or do you intend to do, any stunt driving? Is racing your full time occupations? Do you compete on a traveling circuit? If yes, which one? In which racing categories have you participated or plan to participate in the next two years? Kart: (Formula Kart Experimental, Sprint, Enduro,) mph? Formula: Formula 1, Atlantic, Continental, Ford, Vee, 440? Grand Touring: GT-1, Trans-Am, GT-2, GT-3, GT-4, GT-5, other? Production: E, F, G, H or other? Showroom Stock: SSGT, SSA, SSB, SSC, or other? Sports Racing: ASR, Can-Am, CSR, DSR, Sports 2000, Sports Renault or other? Sprint Cars: USAC Sprint Car or other? Stock Cars:(Nascar/IMSA) Nextel Cup, Winston West, Busch Grand National, Modified Division, USAC Super Modified, Grand American, All American Challenge, Charlotte/Daytona Dash, Late Model, Chargers, ProFormance/Pro Stock Sedan, American Challenge, Street Stock or other? Name of organization sanctioning races? Is this a local or national organization or not sanctioned? The underwriting company will want to know which category of racing you do and also the number of races you have run within the last 12 month and how many you plan to race within the next 2 years. In addition, they will want to know the max speeds attained and how many miles per race. Any tobacco use within 5 years? If so, what type? Any past or current medical history or current medications? How do I know that I have the best offer? Once the above information is secured, your broker can then do the legwork of shopping the best carriers that offer the most affordable coverage on life insurance for race car drivers. Again, it is vital that you only work with a specialist who knows the best companies to talk to. To save time from having to apply for coverage with multiple insurance carriers, your broker will speak to several different insurance companies. The broker is invaluable when trying to obtain the lowest rates in the marketplace. It is the broker’s job to secure the best offer. After speaking with multiple companies, your broker will come back to the client and explain the best offers from each carrier. At that time, rates will be presented based on the information obtained from the client. These rates are tentative and must still be approved once full medical underwriting is complete. But, on most occasions unless their are some surprises on the medical exam, lab testing or MIB report the tentative offer usually holds. Will I have to pay a higher premium since I race cars? Typically, with ever thing else being equal you will pay a higher premium over someone who does not do racing. How much more is hard to say. Since all cases are looked at individually and again are based on the type of car, speeds, experience, etc. It is important to remember that if you stop racing, and have had no other material changes in health or activities, you can request that any additional premium added to your policy for racing be removed.